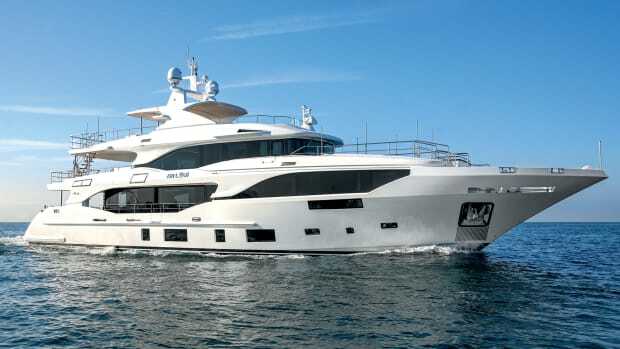 Benetti launches its first vertical-bow yacht. 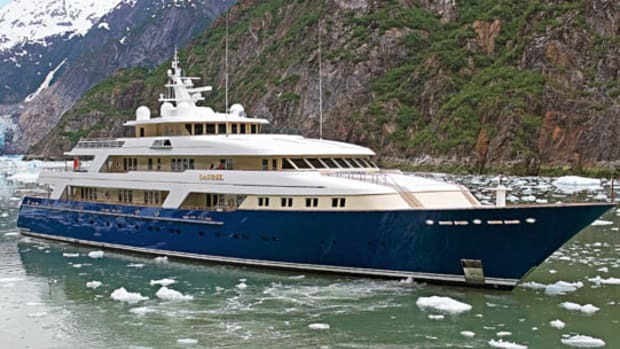 It’s a story that’s been told a thousand times: An owner decides to design a megayacht that will suit his every whim, finds a yard to build it, and then sets off to sail the high seas. 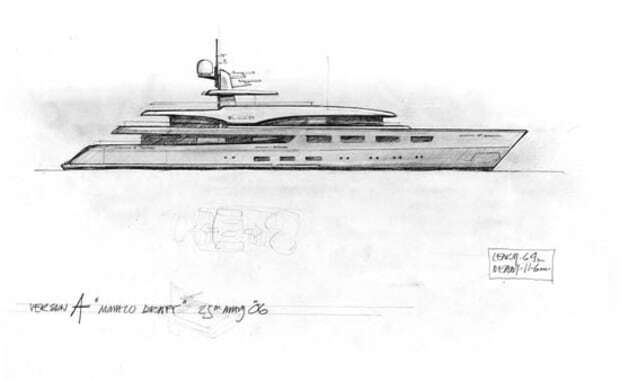 And that’s exactly what the original owner of Benetti’s first vertical-bow yacht intended to do. 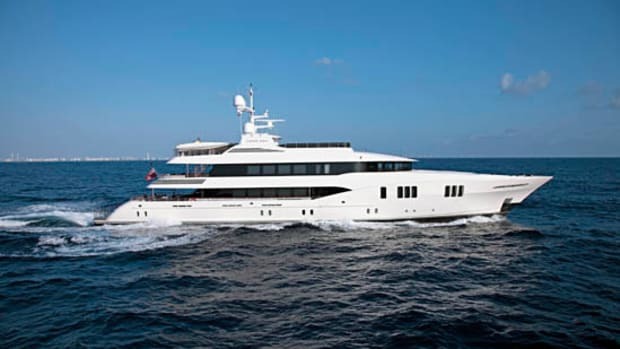 Five years ago, while the owner’s third yacht, Amnesia III, was still under construction, he directed the designers from Redman Whiteley Dixon (RWD) to create something that was “challenging for the yard and not just traditional Benetti,” says Toby Ecuyer, head designer at RWD. 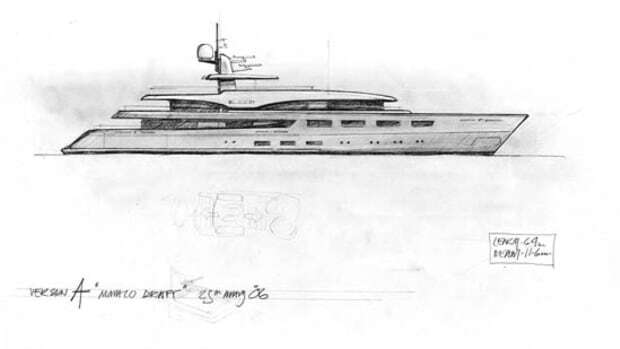 A rough design for the owner’s fourth and most distinctive Benetti emerged on a cocktail napkin while Ecuyer and other RWD designers were on a flight from London to Monaco, and the designers and the shipyard set out to turn it into the yacht of the owner’s dreams. 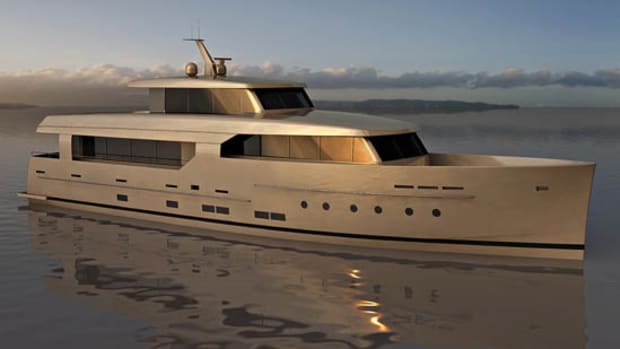 The design depicted a yacht with a plumb bow and an interior featuring chestnut wood and light-beige accents, matching the schemes of his previous yachts, all named Amnesia. And like those previous incarnations, this yacht’s chestnut walls would be framed in walnut to match the furniture and contrast with the oak floors that run throughout. But just as the happily-ever-after part of the story was about to begin, with the owner of Amnesia IV set to sail the seas, there was a surprise: She had sold. 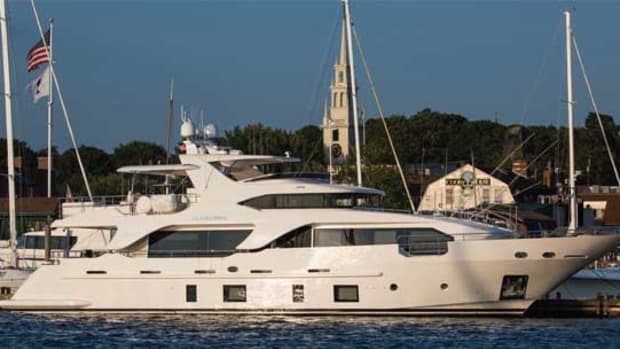 While the 130-foot Nataly was in the yard for refit work, her owner’s representative saw Amnesia IV near completion, called the owner, and said she would be a perfect fit for him. They struck a deal shortly after. 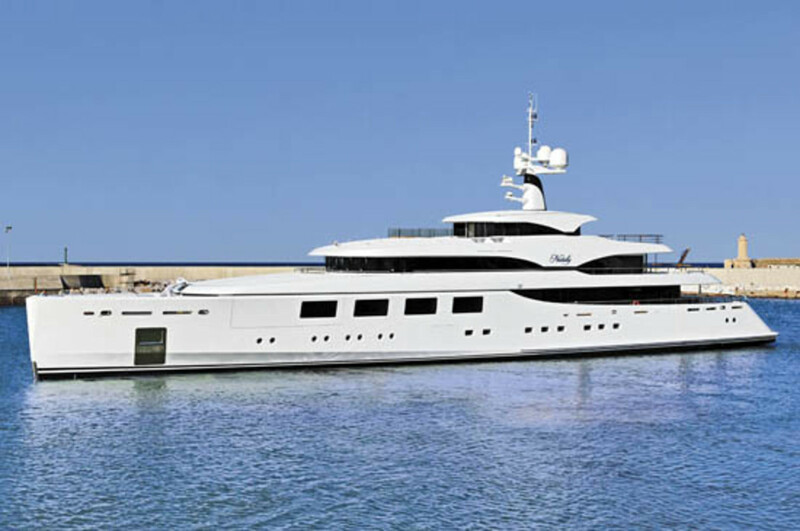 The final touches had not yet been added to the former Amnesia IV, now Nataly, when I saw her in the water at the Benetti shipyard in March. Furniture was missing and plastic sheeting protected the oak floors from the heavy tread of workers rushing to finish. But beneath the rush and clatter, a calming interior was nevertheless taking shape. As she had been designed for both charter and private use, Nataly’s interior layout is unsurprising, with the owner’s suite on the main deck, six guest cabins below, a bridge deck with skylounge above, and a beach club aft, made possible by an athwartships tender garage forward that houses the seven-meter crew tender and custom owner’s tender from Switzerland. 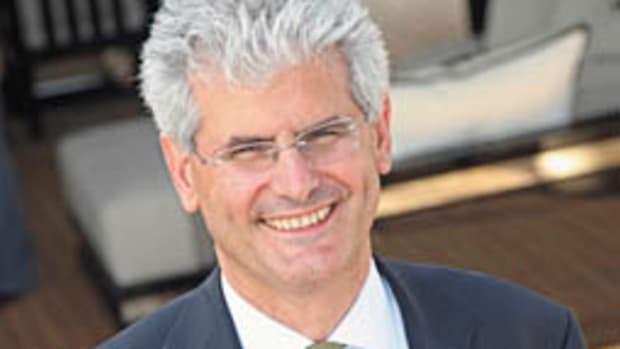 But personalization is visible in the details, Ecuyer said. For example the exterior teak on the main deck runs athwartships, and the oak floors in the main saloon match that pattern. Forward, past the square dining table and main staircase that connects all four decks, the owner’s suite opens into the study with a turn of a mother-of-pearl doorknob. The bed faces forward, toward the walk-in closet that leads to his and her baths with shower compartments crafted out of a single piece of white marble so the gray veining is uninterrupted. Framed by a six- by three-foot window, the starboard shower offers beautiful views to the outside. On the lower deck, six guest cabins are arranged so that port and starboard are mirror images of each other. All are finished in the same soothing soft beige. The two aft cabins are VIPs, with queen-size beds and spacious sitting areas; the pair forward also have queen-size beds but lack sofas. The last two cabins feature twin beds. The crew’s quarters are also on this deck and reap one of the benefits of the plumb-bow design: With more waterline forward, they’re bigger. 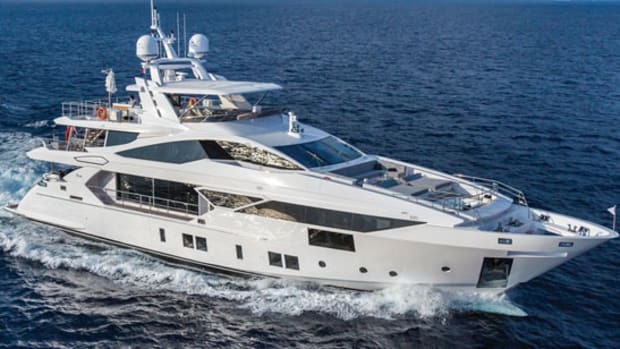 The eight cabins sleep 12 crew, and each features two closets, a small desk, and an en suite head—veritable luxury compared with some other yachts. The crew stairs and galley are both spacious. The captain’s cabin is on the bridge deck, aft of the helm, and features the same marble and Wenge wood in the head as in the owner’s cabin. Also on this level are two midship flexible-use rooms currently employed as a gym (to starboard) and a massage room (to port). An interior staircase leads up to the sundeck, opening on the port side of the radar arch where there’s a partially enclosed dining area. (The starboard side houses a dayhead.) Forward sliding doors protect diners from wind and the elements while underway. The Jacuzzi tub is farther forward and unprotected. There’s also an exterior staircase, one continuous spiral from here down to the main deck. Though Nataly’s layout is traditional, the details make her come alive. The interior staircase is finished with uneven ecru resin bricks; their rough surface lends both visual and tactile texture to an often-underappreciated element. Ecuyer pointed out additional details such as the leather-framed windows on the bridge deck, lights in the door frames that illuminate the doors, and the interior and exterior furniture that all share design details. To accent Nataly’s striking bow, Benetti designed its first pocket anchors, and her tender garage doors are just as seamless. The resulting sleek but powerful lines were particularly obvious as she was docked next to another 65-meter yacht Benetti was preparing for delivery. Nataly gave off a vague sense of the battleships that inspired her. Nataly is the product of a driven owner, who knew what he wanted, designers who knew how to translate those desires into workable plans, and a builder that could make those plans a reality. 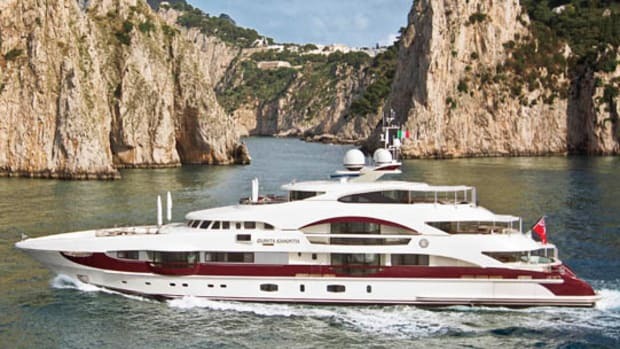 But, she emerged from the Benetti yard the realization of another owner’s dreams, the one who will be setting off to sail the high seas.